A very rare find. 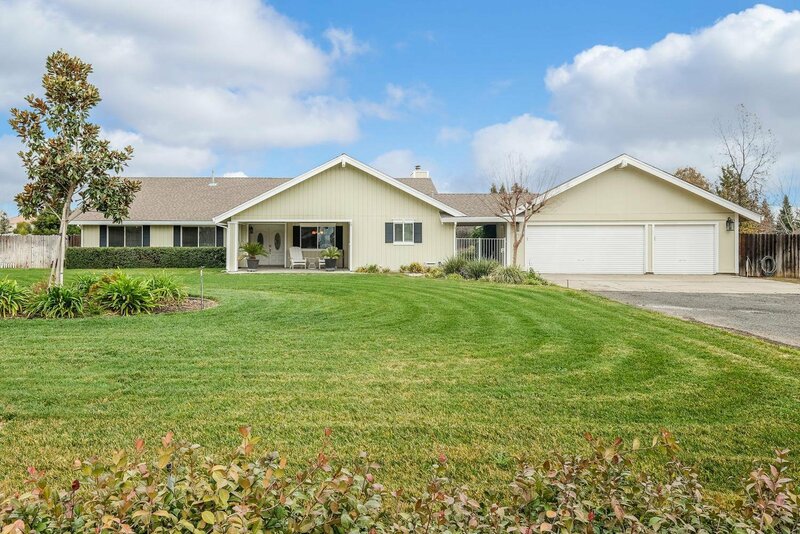 Gorgeous and super clean single story home situated on two manicured acres in highly desirable Bianchi Estates. Home features newer laminate flooring, crown molding, and exposed wood beams. The pellet stove will keep you warm and cozy in the winter, the sparkling pebble tec pool will keep you cool in the summer. Horses and livestock are welcome on this property. Perfect home for entertaining. You will fall in love with this one. Listing courtesy of One Choice Real Estate. Selling Office: Coldwell Banker Residential Brokerage.